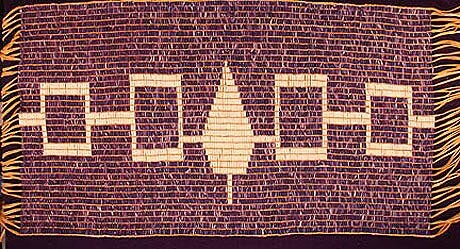 the Haudenosaunee is a group of five native American tribes the Onondagas, the Oneidas, the Senecas, the Mohawks, and the Tuscororas. And together they form the Onondaga Confederacy. twisted mind. 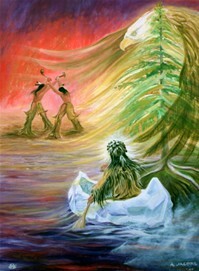 The Peacemaker helped Hayo’wetha mourn his loss and ease his pain. Hayo’wetha then traveled with the Peacemaker to help unite the Haudenosaunee. a single arrow and broke it in half. 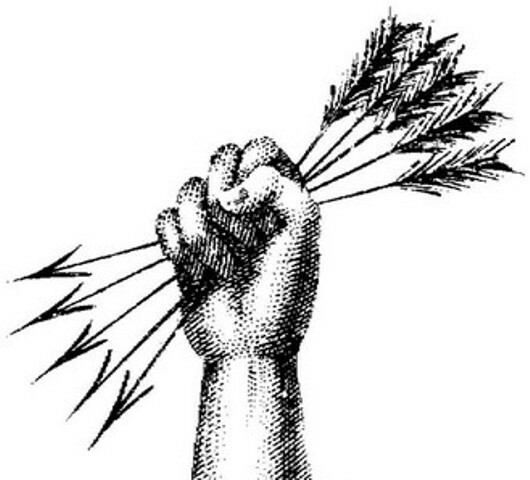 Then he took five arrows and tied them together. together, these five nations became known as the Haudenosaunee Confederacy. Peace is an eagle, guardian of the Haudenosaunee and messenger to the Creator. chosen for their cultural wisdom and dedication to the Haudenosaunee people. lived long ago called the Mother of Nations. ■ Clans are extended families. Haudenosaunee clans are MATRILINEAL. ■ The clans are named after animals and birds. unit with the clan mother as the head. helped raise his sisters’ children. were welcomed by relatives of their same clan. ■ Make all the major decisions that affect the clan. ■ Assign names to people in her clan. ■ Nominate the male leader of the clan. The male leader is called the HOYANEH. ■ Help ensure that all members of her clan are fed. after this belt was created. also offer opportunities for communities to socialize. Today, lacrosse is an international team sport played competitively all over the world. long as two miles. Teams could have from a handful to hundreds of players. some players will also ask for guidance as individuals, praying for strength or speed.